Grafted fruit trees are made by attaching a rootstock that can tolerate your local soil and its conditions, to a compatible fruit tree that is a proven good performing fruit tree. The reason is that from seed your plant can either have root problems leading to death or poor performance, and also from seed there is a lot of genetic variability. The genetic variability means that some seeds produce trees which can produce trees that range from good fruiters to really bad fruiters. For this reason grafting is the preferred method of producing a proven performer. When you buy your fruit tree weather it be citrus, mango, apple, peach etc, the graft has succesfully joined and there is very little chance that it will die, except from mistreatment around the graft join. 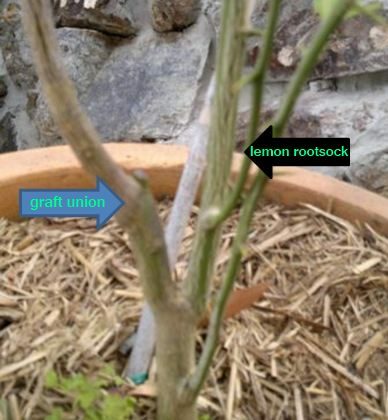 A rootstock is basically a plant grown from seed which is intended to be a host and better performer in the soil, and it is cut when it has reached a good thickness, and has the fruiting plant of choice attached to it. Rootstocks are still living plants, and sometimes have a life of their own. 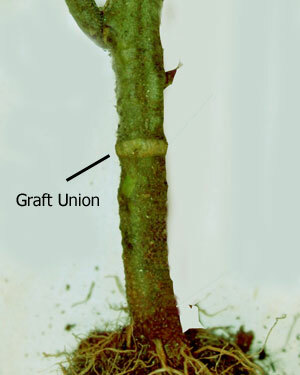 This can often be seen in citrus, when the 3 leaved rootstock grows out from below the graft union. While it is not a huge problem, it is taking goodness from the soil that is intended for the leaves and fruit of the host. It can happen to a grafted plants. I saw on one occasion a grafted olive, whose rootstock was allowed to grow taller than the actual olive tree. Given the fruits are smaller and inedible for the rootstock, I showed the client the difference in leaf shape and size which was very subtle and removed the rootstock’s limbs. This entry was posted in Garden Maintenance and tagged Fruit, Grafting, Horticulture, Rootstock. Bookmark the permalink.